London (AFP) - Roaring Lion provided England football fans with a good omen ahead of the 'Three Lions' World Cup quarter-final with Sweden by landing the Eclipse Stakes on Saturday at Sandown Park. 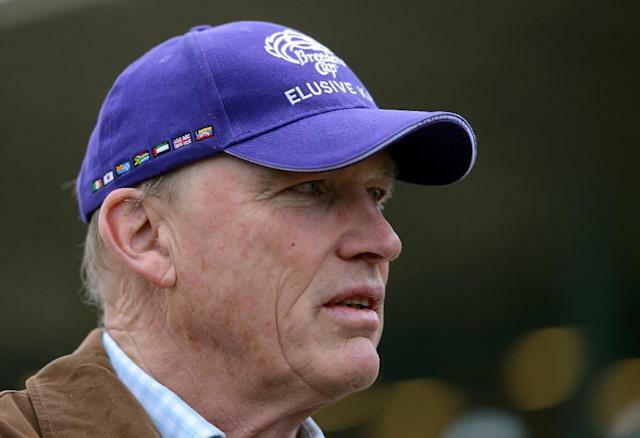 The John Gosden-trained winner -- giving Irish jockey Oisin Murphy his first English Group One success -- survived a steward's enquiry to become the first horse since Elmaamul in 1990 to finish third in the Epsom Derby and go on to win the Eclipse. The duel between Roaring Lion and Saxon Warrior more than made up for the withdrawal of Epsom Derby winner Masar, who was found to have a leg problem on the eve of the race, the richest ever to be staged at the course near London worth £448,000 ($595,000) to the winner. Murphy had been called in by the stewards over his horse coming in and bumping Irish raider Saxon Warrior, the beaten favourite in both the Epsom and Irish Derbies. The stewards accepted Murphy's explanation that his horse is still raw and has a habit of running round when in front but he didn't impede Saxon Warrior enough to alter the result, which saw him prevail by a neck. Saxon Warrior's jockey Donnacha O'Brien -- son of the horse's trainer Aidan -- claimed he had suffered three bumps knocking his mount sideways just as he was due to come back at the winner. Murphy, though, was able to enjoy his moment of glory and pay tribute to the people who had made it possible. "This is for my parents and my family, who have made it possible in putting me in this position," said Murphy. Gosden, winning his third Eclipse Stakes, praised Murphy for a very calm and calculating ride. "He rode him beautifully and very coolly," Gosden told ITV Racing. "He got too far back, he knew that, and he didn't hurry to get back. It was a very good ride and I'm thrilled. "He (Murphy) deserves it (a first British Group One win). He did very well to stay as cool as he did."